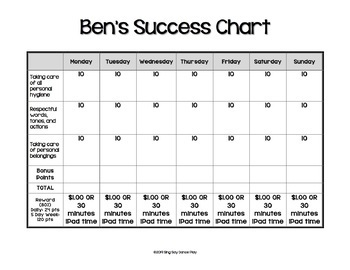 These Behavior Success Charts can easily be used at school or at home. They are fully editable using Microsoft Word, so you can customize each child's target behavior AND rewards! They are designed to target 3 behaviors per child. There is a 5-day and a 7-day version included. 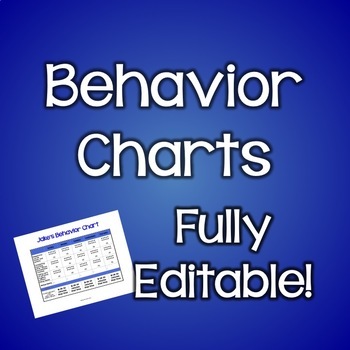 Each Behavior Intervention Chart has a goal of 10 points in each category, and if they earn at least 8 points (80%), they earn a small prize for the day. They can also earn a weekly prize. Consistency is important in any classroom management program, so be sure you have the prizes worked out ahead of time. If you want the font I used in mine, search for KG Behind These Hazel Eyes by Kimberly Geswein Fonts. It's free for personal use!